Who would have thought it? We are about to have an election about things that really matter. The last one wasn’t. Although the theme of the Prime Minister’s campaign was “keeping interest rates low” what he promised was a tax package directed to families and high-income earners. By contrast Mark Latham promised a tax package directed to families and middle income earners. We were given a choice: a tax package from Tweedledee versus a tax package from Tweedledum. Fundamentally important issues have been missing from Australian election campaigns. The voters themselves are in little doubt about what they think is important and what they would like the opportunity to vote for. An astonishing 68 per cent opted for increased spending on services and infrastructure. Only 29 per cent wanted a tax cut. AC Nielsen has been getting the same sort of result in each of the last three years that it has asked that sort of question, as have Newspoll, Roy Morgan and the survey conducted in the lead up to each election by the Australian National University. Party hacks on both sides of politics counsel their leaders to pay no attention to these polls. They say that whatever Australians tell pollsters; in the privacy of the voting booth they opt for tax cuts. Besides, actually fixing water or schools or hospitals is a largely untested strategy. Tax cuts are safer. Because both sides usually offer them they are seen to work. The hacks even have a pseudo-scientific word to describe the reason why we can’t be believed when we say we want real problems fixed rather than money in our pockets. They call it the “halo” effect - we are inclined to give pollsters the answers that make us look virtuous rather than tell the truth. The halo effect exists. When ACT residents are asked whether they be prepared to pay more for electricity that comes from renewable sources, 23 per cent say yes. But when it comes to actually ticking the GreenChoice box on the ACTEW form and paying the money, only 5 per cent do. But the halo effect can’t explain away the answers about tax cuts. Here’s why: The ANU and other pollsters have been asking essentially the same question for 30 years. For most of that time there can’t have been much of a halo effect. As recently as 1990 Australians who wanted tax cuts outnumbered Australians who wanted more spending on services eight to one. From around the mid-1990’s our attitude changed. We lost interest in tax cuts and became increasingly keen about fixing up national problems. Australians who want more spending on services now outnumber Australians who want tax cuts two to one. In fact 70 per cent of us say we would actually be prepared to pay more tax if we knew the money would to health. What is it about the last decade or so that has made us lose our enthusiasm for tax cuts and yearn instead for more government spending to solve pressing problems? I believe it is prosperity. We have now had 15 years of rising incomes - the longest period of sustained economic growth since settlement. On a personal level most of us have more or less what we want. What we don’t have is a guaranteed water supply, hospital systems about which we can feel confident, schools at which we feel happy to leave our children and an ACT bus service that runs more than once an hour in the middle of the day. Our current desire to have the government use our money to solve pressing national problems rather than give it back to us is not without precedent. We last had it during the 1960’s, another time of rapidly increasing prosperity in which we felt our personal needs were being met. In is early days in the 2007 campaign but so far I have heard no talk from either side about tax cuts. What I have heard instead is talk about from Labor about education and talk from the Coalition about water. This could be because we are yet to be offered our (largely unrequested) traditional dose of tax cuts or it could be because Australia’s political party hacks have at last caught up with the reality of the shift in voters’ Australian views. Or it could be something else: that the problem of Australia’s dwindling water supplies is now so urgent that the government feels compelled to throw billions at it and to turn it into an election issue in a way in which it wouldn’t have before. And it could be that the Opposition Leader Kevin Rudd, who ran the state Cabinet Office in Queensland recognises the extreme importance (and potential economic benefits) of getting education right in a way that his party’s hacks do not. And it could be because of the Reserve Bank. It pushed up interest rates four times in a row last year largely in an attempt to control the surges in spending that the last few tax cuts brought on. This election it will be easy to argue that a promise of further tax cuts is a promise of a further rate hikes. Whatever giveaways each side does promise us in the year ahead are likely to be dressed up as nation-building – investments to secure our water supplies, to fix up our schools and to equip us to fight global warming. Which is as it should be. It is what we want. Australia's number one economic bureaucrat is now a Companion in the General Division of the Order of Australia, just about the highest honour this country has. Steve Lewis tells the story best. TREASURY Secretary Ken Henry is the nation's second-most powerful bureaucrat, charged with keeping the economy chugging along in top gear. But if you really want to animate Dr Henry, don't ask him about balancing budgets and paying off debt. Instead, question him over his passion for saving injured native animals and nurturing them back to health. I wrote a bit more about Ken Henry late last year. Speculation is building that Rupert Murdoch’s son Lachlan will bid for the channel ten television network. The network has been officially up for sale since December when the dominant shareholder CanWest and the Ten Group itself announced that they would consider bids for the entire company. The sale price is expected to exceed $4 billion. The 35-year old set up Illyria in 2005 after resigning from his US post as News Corporation's deputy chief operating officer and returning to Australia with his wife Sarah O'Hare. He remains on the board of News Corporation. The name Illyria is said to come from a pre-Christian tribal grouping that controlled an area around modern-day Albania. It was also the name used for the setting of Shakespeare's Twelfth Night. Its only known investments to date have been small, among them a significant stake in the Australian on-line DVD rental company Quickflix. A bid for the Ten Network would require additional funding, perhaps from a private equity partner or a loan from News Corporation itself. While at News Corporation Lachlan Murdoch had responsibility for all 35 of its US television stations as well as its Australian newspaper operations. Media analyst Peter Cox of Cox Communications said last night that Lachlan Murdoch had the necessary skills to run the ten network. “He is looking to do something in Australia, he has been very well trained over the years and he wouldn’t necessarily have immediate conflicts, although I don’t know how things would go on the legal side,” he said. Funding from News Corporation to allow Lachlan Murdoch to complete the deal might enable a rapprochement between Rupert Murdoch and his son who fell out in 2005 over what Lachlan Murdoch saw as interference in his role as deputy chief operating officer. Another of Rupert Murdoch’s sons James set up and ran an independent hip hop record label Rawkus Records in the 1990’s before it was brought by News Corporation and he returned to the company fold. He is now in charge of News Corporation’s British Sky Broadcasting satellite network. News Corporation has assisted other purchasers to buy media assets in the past. In the late 1980s it provided loans to allow the management of its Brisbane and Adelaide newspapers to take them off its hands in order to enable it to buy the Herald and Weekly Times newspaper group. At one stage Rupert Murdoch discussed providing funding to allow his Australian chief Ken Cowley to buy his Australian newspapers from him. Roger Colman of CCZ Statton Equities said he believed that Lachlan Murdoch had little to offer Ten. The ten network is the last of the free-to-air commercial networks available for sale. Both Channel Seven and the PBL, the company that runs Channel Nine were refinanced by the sales of shares to private equity buyers late last year after the government’s new media laws passed the Senate. After they are proclaimed later this year it will be legal for News Corporation to buy the ten network in its own right. The laws will allow foreign corporations to buy Australian television stations and will allow newspaper owners to won television stations in the same cities. Both Fairfax Media and the Ten affiliate Southern Cross have said that they will not be bidding for Network Ten. WIN Television, which already owns 13 per cent of Ten, is known to be interested and might sell its channel nine rebroadcasters in order to fund the purchase. Ten and CanWest are expected to decide which bid to accept by the end of February. Assessing the likely outcome Peter Cox said that if News Corporation itself wanted Ten it would have the capacity to outbid any other contender. But he said infrastructure investors such as the Macquarie Bank, Babcock & Brown and Allco might be prepared to pay even more than News Corporation as they were running short of assets to invest in Australia. Murdoch’s wife, Sarah Murdoch is currently hosting the Today Show on channel nine. Mortgage holders can rest easy. The Reserve Bank will not hike interest rates next month, and most likely not until after the October election - if at all. Australia’s inflation rate was less than zero in the December quarter, the first time that the recorded measure of Australian prices had actually fallen since March 1999. Petrol prices fell 12.4 per cent during the quarter, fruit prices by 5.2 per cent, mainly due to cheaper bananas, and meat prices 1.9 per cent. The Prime Minister welcomed the news saying that it showed that last year’s three rate rises had brought inflation under control. “I think what we have seen is a classic demonstration of a stitch in time probably saving nine,” he said. Labor’s Treasury Spokesman Wayne Swan backed the Prime Minister’s assessment of the effect of the low inflation result on interest rates saying he thought home owners would “breathe a welcome sigh of relief”. But he said the four interest rate hikes since the last election had left Australian mortgagees paying out more in repayments than ever before. The Reserve Bank will leave interest rates on hold when it meets on February 6 and will not consider adjusting rates again until it meets in May to consider the inflation result for the March quarter. Although the bank is free to adjust rates whenever it wishes, by convention or coincidence it has tended not to adjust them around the time of the May Budget or in the lead up to an election. This means that the next most likely date on which the Reserve Bank will adjust rates will be in November, by which time the economic readings might be quite different. Some economists are now claiming that the Bank’s next move on interest rates might be down, especially if Australia’s employment market weakens. But the economic situation that far ahead is difficult to predict. It will depend among other things on the spending in the Budget and in the election campaign and where it is directed. The Bank’s Governor Glenn Stevens will outline his view when he appears before the parliaments economics committee in Perth on February 21. A few years back as he was running for Liberal Party preselection a friend asked Malcolm Turnbull why he hadn’t instead decided to enter parliament through the Labor Party. Now just over two years after abandoning one of Australia’s most impressive business careers to enter parliament as a backbencher he’s been elevated to the leader’s inner sanctum – the federal cabinet. Asked yesterday to confirm the story about the Labor Party he didn’t directly reply but insisted instead that he joined the Liberal Party back in 1973 when he was 18 years old and loading fruit at Sydney’s Haymarket. “The only party that I have been a member of is the Liberal Party and I can assure you I wouldn’t have been working in the city markets in if I was a millionaire." Malcolm Turnbull says he realised he wasn’t going to get much help from the Labour movement, but after that he and Bob Carr became very good friends. While making a fortune as a high profile lawyer and then merchant banker he came into contact with politics again in 1993 when the Labor Prime Minister Paul Keating appointed him to his Republic Advisory Committee to prepare an options paper outlining the route by which Australia could become a republic. Malcom Turnbull has sought to distinguish himself from the Prime Minister in other ways as well. Before entering Parliament he described John Howard as “uncomfortable with many features of modern Australia”. While in Parliament he put on his website links to documents outlining some of the very exciting ideas being proposed for a system of carbon emissions trading in Australia, at the time when the Prime Minister itself had said spoken out the idea. Malcolm Turnbull is now the Environment and Water Minister and will be in a position to push some forward these ideas. The Prime Minister has said he is no longer necessarily opposed to emissions trading and has set an inquiry into the best way of doing it, due to report by the middle of this year. Through his role as Parliamentary Secretary for water and before that as a backbencher passionate about finding solutions Malcolm Turnbull has probably amassed more knowledge about the problems and what’s needed to fix them than anyone else near the seat of power. He describes himself as “a relentless picker of other people’s brains” and said yesterday he had no doubt Australia already had the technology, the skills, and the commitment to fix the problems. He is now in a position to make it happen. At last! The price of petrol is on track to fall below one dollar. But what about the price of flying? The cost of jet fuel peaked in July when Israel launched air strikes against Lebanon.It has been falling for most of the time since. But Qantas has been sparing in its cuts to the fuel surcharge. It has cut the surcharge on flights to Europe from $185 to $170, on flights to the US from $145 to $133 and on domestic flights from $31 to $26. It says it will do more when it is able. The Australian Competition and Consumer Commission hasn’t taken much of an interest. A spokesman told me that what Qantas did was a matter for the market. Competition should sort things out. But the problem is that there isn’t much of market. Even less than there is for the selling of petrol. On most routes within Australia there are only airlines: Virgin Blue, which also has a fuel surcharge and Qantas, which sometimes uses the name Jetstar. On other routes there is no competition whatsoever... The ANZ’s Chief Economist Saul Eslake is a reluctant Qantas/Jetstar customer. He tells me that when he flies to Tamworth to give a presentation he has no choice to use Qantas. It charges him far more for the Sydney-Tamworth leg on which it has a monopoly than it does for the much –longer but somewhat competitive Melbourne-Sydney leg. His point is that on most routes people don’t have alternatives. It is a generally established principle in economics that two is a particularly poor number of competitors when it comes encouraging genuine competition. (One is, of course, even worse.) Think of Optus and Telecom in the early days of phone deregulation, think of Woolworths and Coles, think of Hoyts and Greater Union before the arrival of Dendy in Canberra. Where there are two big firms in an industry usually one sets its price just a bit below the other and there the competition stops. But when there are three or more competitors, as there are today when it comes to providing mobile telephone services, real price competition is quite likely. There is scarcely any price competition on the most lucrative of Qantas’s routes – Sydney to Los Angeles. Only Qantas and United Airlines fly the route and they make quite a lot of money doing so. According to the Canberra consultancy Econtech Qantas charges 38 per cent more per kilometre for Sydney-Los Angeles flights than it does on the Sydney-London route on which it faces more real competition. Econtech was commissioned to conduct the study by Singapore Airlines, which has been trying to fly between Sydney and Los Angeles and provide real competition for more than a decade. At every turn the Australian government has blocked Singapore Airlines saying that such competition from it would not be in the national interest. It wants Virgin Blue to enter the market instead. But if the government was serious about serving the interests of travelers, rather than those of Australia’s two big airlines (neither of which the government owns, and one of which may soon be taken over and so loaded up with debt that it will pay little tax) it would encourage as many competitors as possible to fly to and from Australia. The effect could be dramatic. Econtech says the extra capacity and the lower prices on the route that would result from opening it up would be likely to increase the number of travelers moving between Australia and the US by as much as 8 per cent, and could boost spending by US visitors in Australia by more than A$100 million. But these aren’t the economic figures that the government finds persuasive when it considers whether or not to allow an extra foreign airline to fly to Australia. When it asks “What’s in it for Australia?” it means “What’s in it for Qantas and Virgin Blue?” Its attitude seems to be that it will only allow air travelers to and from Australia to benefit if other countries allow Qantas or perhaps Virgin Blue to land so that they can benefit. It is attitude long ago abandoned when to comes to imports. Australia used to once say that it would only allow in cheap imports and assist Australian consumers so long as other countries allowed in imports from Australian firms benefiting those firms. Australian consumers were held hostage to the interests of Australian manufactures. But two decades ago the Hawke government decided that it would bring Australia’s tariff walls no matter what. It decided that its most important responsibility was to assist Australian consumers rather than the firms that employed them. In aviation it remains different and we pay for it flight after flight. As Saul Eslake puts it: “The interest of Australia when it comes to manufacturing and agriculture is seen as the same as that of the purchasers of goods, but the interest of Australia when it comes to aviation is not seen as that of Australian flyers, but rather that of Qantas. It would be nice to think that the proposed private takeover of Qantas will change that. It’ll no longer be owned by Australian citizens - the government might cut it lose. But I am more pessimistic about that than I used to be. A few weeks back it reported that government was close to deal under which it would allow the takeover on the condition that Qantas kept jobs in Australia. Almost every other firm in Australia has lost the right to play the jobs card. The government should tell Qantas that all bets are off and that its time for the rest of us to travel cheaply. Who gave Blundstone's 300 workers the boot? We did. The once-proudly Australian boot manufacturer Blundstone is to end manufacturing in Australia and move its plants to India and Thailand. 300 Australians are to lose their jobs. It is natural to want someone to blame. The Textile, Clothing and Footwear Union lays the blame at the feet of this and the previous federal government which have cut tariffs and pushed internationally for free trade. While Blundstone was announcing its decision to close its Australian operations in Hobart last week in Canberra Australian officials were confirming to APEC that Australia was on track to bring down most of its tariffs to 5 per cent by 2015. It is an approach that until now has made Blundstone more competitive. It exports to 15 markets worldwide including the USA, Canada and Israel - something it was not able to do back at the start of the 1980's when Australian costs were 200 per cent above those elsewhere. But it is now facing a changed environment that even a massive tariff barrier would not help it cope with. For some time now Blundstone has faced competition from manufacturers hiring workers in countries such as India and Thailand for a fraction of the price Blundstone pays to hire workers from Australia. Until now has been able to withstand the competition by investing in cutting-edge technology that would allow it to produce a high volume of a standardized high-quality boots without a big wages bill. Low volume runs of transitory specialised designs are best made by people rather than machines, and in any event the high-tech machines Blundstone used to rely on are becoming harder to find. Blundstone is far from the only Australian manufacturer to go down the path of using workers in low wage economies to make the labour-intensive goods and Australian factories to make high-volume capital intensive ones. Pacific Brands manufactures high quality standardized Bonds singlets from a state of the art facility in Sydney that is almost completely automated. Its fancier more individually designed products get finished off in lower-wage locations such as China. Seen through this prism Blundstone's Hobart manufacturing operation has been as much a victim of changing consumer tastes as it has of tariffs or relative wages or free-trade. As we become richer we increasingly demand less standardized products. Blundstone itself probably accelerated the accelerated the process a few years back when it began to market its boots as fashionable and had them worn by celebrities reportedly including Brooke Shields and Cindy Crawford. Australia's textile clothing and footwear industry employs half as many workers as it did a decade ago. But the 43,500 jobs lost in that industry have been dwarfed by the almost two million extra jobs created in the economy more broadly. It will not be straightforward for some of the 300 workers made redundant by Blundstone to find new jobs, but Australia's generational lows in unemployment suggest that it will be easier than it has been in a lifetime. Unfortunately many of the new jobs that have been created during Australia's employment boom are unlikely not suit the Blundstone workers. the Howard Government require a university degree. If it is any consolation to the workers made redundant at Blundstone, it is likely that the demand for workers of all skill levels will increase still further as the Australian population ages. Tasmania is leading the pack with around one-third of its population expected to be aged 65 or over by the middle of this century. By then workers will be in keen demand not so much to make goods for the avalanche of retired Australians, but to provide them with services: to tend to them in shops, to deliver what they buy and to put on their boots rather than manufacture them. If you work at Parliament House, and you are preparing to go to work this morning – take note. It’ll be hotter than normal and you’ll need more comfortable clothes. Until this week however hot it has been outside, and however much hot air has been created inside, the temperature within the massive 4,500-room complex has been maintained a comfortable 22 degrees. On really hot days, such as the scorcher earlier this month, the system soaks up almost 300 kilolitres. A few weeks ago the head of the Department of Parliamentary Services Hilary Penfold wondered out loud how much water could be saved by simply turning down the airconditioning and allowing the building to get hottter. She was surprised to discover that no-one knew. “The fact is that no-one has ever thought about it, going back 25 years or whenever when they first started designing these things, on-one bothered to think about the relationship between temperature and water use,” she said. So for four days from today until Australia Day, Parliament House will part of an experiment. The target temperature will be set at 24 degrees, rather than 22. Each day Ms Penfold’s staff will calibrate the relationship between the temperature inside, the temperature outside and the amount of water needed to carry the heat away. If the trial demonstrates that a warmer Parliament House can save water, and if Ms Penfold doesn’t get too many complaints, she will consider recommending to the Speaker of the House and the President of the Senate that the temperature be lifted throughout the month of February when both houses are back and the building houses 3,500 people. In a circular to building occupants she has advised staff preparing to go to work today to take account of the trial in choosing their clothes. It would probably be safe to leave jumpers and coats at home. I have worked with Maxine McKew for years and most recently made a number of very good radio programs with her. She never does anything unless she really wants to and she is quixotic about her choices. And she always lands on her feet. In December she left the ABC and journalism after 30 years. Just like that. She lay on the beach. Now she is to join Australia's Prime Minister in Kevin Rudd as his Special Adviser on Strategy. He told her he liked her "dynamism". Maxine McKew acknowledges that it is a big shift. After 30 years of asking political questions, she is to become a political operator. Kevin Rudd announced on Sunday the appointment of one of the ABC’s best-known faces as his Special Adviser on Strategy, responsible for drawing on the expertise of business, academic, and non-government organisations to develop Labor Party policies to take next election. The Walkley Award winning journalist resigned from the ABC in October and presented her last Lateline program in December. Maxine McKew said she knew Kevin Rudd from the Australian-American Leadership Dialogue in which they had both been participants. She had spent 30 years asking questions and watching politicians. She had never been a member of a political party. “ I made the jump because I like Kevin, He’s got this incredible sense of purpose. Let me tell you: there is going to be nothing timid about what you will hear from Kevin this year. There is a boldness about his approach and he is ambitious, both for the country and for the quality of the policy making that he has in mind. You are going to see that about issues like education, I mean really – watch this space - and climate change,” she said. Ms McKew will work from both Sydney and Canberra. She expects to start work in Canberra at the start of the parliamentary year on February 6. Australia’s wheat, barley and canola crops are down 60 per cent, our rice crop is down 90 per cent, our total farm production is down 20 per cent and more than half of our agricultural land is in drought. And yet… it has to be said… the broader Australian economy is healthy. The droughts of the early 1980’s and the early 1990’s helped push Australia into recession. But not this one. Not after Australia’s eleventh hottest year on record, not with water storage on Snowy at an all-time low, not with the Murray at risk or drying up and not with farm income at its lowest since surveys began. It is as if what happens on our farms no longer matters to the rest of us. And to a large extent it doesn’t. Our farms are no longer essential to ensure that we are fed. Countries such as Thailand with abundant water can grow rice more easily than can the irrigated rice farms in Australia’s east. New Zealand with plenty of water and naturally green pastures can make milk more cheaply than can Australian irrigated dairy farms. Most of Australia’s income no longer comes from making food. Only 3 out of every 100 dollars earned in Australia comes from agriculture (before the drought it was 4 out of every 100). The overwhelming bulk of our income now comes from services – things such as retailing, the media, selling property, and banking and insurance. All up, income from providing “services” accounts for 64 out of every 100 dollars earned in Australia. Even when it comes to exports, services are now more important than is agriculture. Australia earns 23 per cent of its export income from services, 17 per cent from agriculture. With that income, as well as the 40 per cent of export income that we earn from mining, we are able to buy food from wherever we want. That’s not how it used to be. At the time of the Federation drought at the turn of the last century, Australia earned more from wool than it did from mining, and during the drought that earning stream collapsed. Historian Geoffrey Blainey has written that as recently as the 1930’s primary industries formed the backbone of the Australian economy, providing most our export income and earning more domestically than did manufacturing. Farms not only provided us with food, but also with much of our fuel in the form of hay for horses. During the current financial year the Bureau of Agricultural and Resource Economics expects farm income to collapse 72 per cent. Australian farms earned $9.3 billion last financial year. They are expected to earn just $2.6 in this one. For many farmers the collapse will be devastating, but for the rest of us, the official forecast suggests we won’t much notice. The Treasury has wound back its forecast for nationwide economic growth by three quarters of one per cent. It now expects the economy to grow by 2.5 per cent this financial year instead of 3.25 per cent. It expects the drought to directly cut economic growth by 0.5 per cent and indirectly by a further 0.25 per cent. It is possible that the Treasury is underestimating the broader indirect effect. Lower farm incomes lead to lower spending by farms and lower spending in the towns they surround cutting other incomes. Traditional “multipliers” as they are called suggest that the total impact of the drought could be higher than the ones the Treasury is using, perhaps increasing the total cost of the drought to as much as one per cent of economic activity. But at the moment there are good reasons to believe that the traditional multipliers would overstate things. Much of Australia is enjoying something close to full-employment. If someone loses a job on a farm or in a firm that services farms that person is quite likely to find a new job somewhere else. When Cyclone Larry destroyed most of Australia’s banana crop in March last year a reported 4,000 Australians found themselves out of work. But not for long. Many moved on to higher paying jobs in the booming Queensland mining industry labour was in short supply. Banana farms are finding it hard to entice them back. According to Westpac’s rural economist Justin Smirk about 100,000 rural jobs have been lost since the start of the last drought in 2002. But he says it is very hard to find any evidence suggesting that the droughts have cost jobs overall. Total employment in Australia has increased by more than one million since 2002. The implication is that most of the people who have lost jobs in industries related to the rural sector have found new jobs in industries outside it. This doesn’t mean that everyone who has lost of job as a result of the drought has been able to find another one. Not all of the new jobs have been in the same locations as the old jobs and not all of them have required the same skills. But it does mean that this time the multipliers that have in the past been used to estimate the economy-wide effect of a drought would overstate the damage. The cost to Australian taxpayers of supporting farmers the Commonwealth’s so-called Exceptional Circumstances program has climbed to $2.3 billion, around $38 million each week. And there is every indication that it could climb higher. The point the questioner was making is that if the drought continues and becomes normal in much of Australia Exceptional Circumstances support will be being given in circumstances that are no longer exceptional. Professor Peter Cullen of the Wentworth group of concerned scientists believes that as much as 10 per cent of Australia’s farming land is now unfarmable. Continuing to pay subsidies to farmers to farm it is pointless and cruel. The rules for Exceptional Circumstances payments allow the Commonwealth to bite the bullet. They require grants to be paid only to support farm businesses that are “viable in the long-term”. But the Treasurer’s words suggest that the Government’s definition of what is viable is unlikely to change any time yet. Most of the Commonwealth support is in the form of large interest rate subsidies. An Exceptional Circumstances declaration entitles viable farmers to a subsidy of up to 50 per cent of their interest payments in the first year and up to 80 per cent in future years up to a maximum of $100,000 a year. It is payment open to attack on grounds other than whether or not it is going to farms with a future. Since the grant was introduced in 1993 it has been factored in to the financial decision-making of farmers. They are more likely to buy farms and prepared to pay more for them than they would have been without the knowledge that there was an exceptional circumstances interest subsidy. In the same way that the grants available under the Commonwealth’s First Home Owners Scheme pushed up the price of houses, leaving many new home buyers little better off, it is possible that the Exceptional Circumstances subsidy put upward pressure on the price of rural land. If this is the case the subsidy would have helped the farmers who have sold land since 1993 rather than those farmers who have bought since and are facing drought now. Another scheme may be of more genuine, if less costly, help. Introduced in 1999, the Commonwealth’s Farm Management Deposits Scheme allows farmers a tax deduction for setting aside what would normally be taxable income in their profitable years and parking it in an authorized institution such a bank, building societies and credit union. It can be withdrawn for use at a time when the farmer’s tax rate is lower because times are hard. Curiously at the moment the authorized institutions are holding $2.5 billion of the farmer’s money, more than ever before, suggesting that not much is being withdrawn. This might be because recent bumper crops and high cattle prices mean that our farmers don’t need the money, or it could be because they won’t need it until the drought ends and it is time to restock. Two economists at the Australian National University Bruce Chapman and Linda Botterill have suggesting what they believe is something better. They would wipe aside the existing farm support schemes and instead grant loans in times of drought, to be repaid only when farm income rises beyond a certain point. It is how the government’s Higher Education Contribution Scheme works. Australia supports university students when they need it but gets something back when the students are able to pay. Tuesday Column: The Hawks that drove Bush, Howard and Blair. There was no shortage of people warning the Bush administration of this ahead of the second Gulf War (lets call them ‘doves’). But Bush, Blair and Howard chose instead to take the advice of ‘hawks’. Bush seemed to do so again last week when he increased America’s commitment to Iraq. Daniel Kahneman believes it’s an unfair advantage. And he is in a good position to know. I mentioned him at the start of this year in my column on forecasts. He says we don’t make very good ones in part because we are blinded by “delusional optimism” in our own abilities. The only psychologist ever to have won the Nobel Prize for economics, Kahneman has revolutionized economic thinking by examining the ways in which human beings consistently get things wrong rather than, as is more typical, assuming that we generally get things right. He has just constructed a list of all of the predictable human errors uncovered in 40 years of psychological research (he calls them our decision-making biases). He says he was startled by what he found: All of the biases on the list favour hawks. In an article entitled “Why Hawks win” published in the latest edition of Foreign Policy Kahneman and colleague Jonathan Renshon conclude that “a bias in favor of hawkish beliefs and preferences is built into the fabric of the human mind”. We also tend to overemphasise personality in our assessment of why people or nations act the way they do. Psychologists call this “fundamental attribution error”. We believe that people who have helped us have done so because they are “nice”. People who have made life difficult for us are “bad’. Whether or not it was possible to reason with Saddam Hussein (and as the invasion approached he seemed to become more and more co-operative) we are more inclined than we should be to believe that people such as Saddam can’t be reasoned with, simply because of the type of person we believe them to be. By contrast we regard ourselves as less hostile than our adversaries, “pushed into a corner” rather than raving mad. And we tend to be blind to how others see us. Surely they other side will realise that we are pushed into a corner rather than unreasonable? As well we devalue peace offers when we know they come from the other side. Kahneman calls it “reactive devaluation”. He says in one experiment two groups of Israeli Jews were shown the same peace plan. One was told that it was drawn up by the Palestinians. It saw it as unfair, and biased against Israel. The other was told the truth, that it Israel’s plan. It saw it as evenhanded. Hawkish thoughts retain their grip on our minds even when it is apparent that that grip is costing us dearly. And this is perhaps the saddest and most destructive of the decision-making biases uncovered by Kahneman. He calls it our “double or nothing bias”, and he stresses in a note to the editor of Foreign Policy that he coined that phrase and wrote his article before President Bush’s decision last week to ramp up the stakes in Iraq by risking an extra 20,000 American lives. Kahneman says we abhor losing so much that we are prepared to risk losing even more in order to buy just a slim chance of avoiding it. When John Howard promised that he would not “cut and run from Iraq” it was a pledge that would have resonated even with some Australians who thought we should not have been there in the first place. Our brains are wired to want to finish what we started. We are irrationally keen to want to reclaim sunk costs - lives that have already been lost, or hours that has already been wasted, rather than cutting our losses as we arguably should. Even worse, our leaders don’t face the same costs as we do. For a leader who is losing a war there is not much more to be lost in terms of reputation by hanging on, and the small chance that something can be gained (at the cost of extra lives) by hanging on. Kahneman and Renshon are not saying that we never go to war, or never stay the course. They are saying that we appear to be hardwired to do that too often. They are saying that Howard, Bush, and Blair are human. What if extending Daylight Saving didn't save electricity? Much of what you thought you knew about daylight saving may well be no longer true. And two academics from the University of California Berkeley have used evidence from Australia has proved it. Whatever we have thought about daylight saving personally - whether the change confused them, whether it faded our curtains or upset our cows - we have generally agreed that it is a way of saving electricity. The most widely cited guesstimate in the US is that moving the clocks forward by one hour cuts the use of electricity by one percent. as a means of reducing power consumption and greenhouse gas emissions. 30 years old and predate the widespread use of air conditioners. saving - Australia in the lead up to the 2000 Olympics. Australia, also a daylight saving state, did not. initially failed to keep pace. All told, our results indicate that claims that extending daylight saving time will significantly decrease energy use and greenhouse gas emissions are at best overstated, and at worst carry the wrong sign. In particular, a long, two-month, extension is more likely than not to increase electricity consumption. They say they expect the US and in particular the big energy-guzzling region of central California to behave much the same way as did Victoria, which has a similar latitude and climate. It is one of the best-kept secrets of punditry that the better known a pundit is, the less likely are his or her forecasts to be correct. That’s right – the LESS likely. It wasn’t easy to test the predictions that they made in the media, because they were loaded with get-out clauses: words such as “remote chance”, “maybe” and “odds-on favourite”. As he says in his book Expert Political Judgement: How Good Is It? How Can we Know?, the word “likely” could mean anything from barely better than 50/50 to 99 percent. So instead he asked them his own questions, each time offering three alternatives. One was the status quo, the second was a move in one direction, and the third was a move in the other. In Australia right now such a question would be: How will the Coalition fare in the next election? Will its proportion of the vote (a) stay the same, (b) increase, or (c) decrease? He asked his experts to assign a probability to each outcome and examined how they fared a year later. Over two decades he accumulated 82,361 testable forecasts. He found that not only were the experts predictions not particularly good, but that as a group they had performed WORSE than if they had just assigned an equal probability to each of the scenarios presented to them. That is to say the experts would have done better by ignoring what they knew and assigning option (a) a probability of 33.3 per cent, option (b) a probability of 33.3 per cent, and option (c) a probability of 33.3 per cent. Put more bluntly: the professional pundits would have done better had they used dartboards. 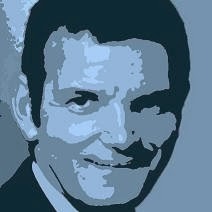 Tetlock asked the experts both about topics about which they knew a lot (for instance, economists were asked about interest rates, political scientists about elections) and about topics about which they knew little (economists were asked about politics, political scientists about the stock market). He expected the experts to perform better when asked about areas within their fields of expertise. Instead he found no statistically significant difference. His conclusion: beyond a certain level of general knowledge, the kind you can get from reading the newspaper, extra specialist knowledge doesn’t seem to improve your ability to make predictions. And there was one group of pundits that performed particularly badly when their predictions were put to the test – the pundits that were the most popular on the chat shows. The problem facing experts is that they have the tools (and often the incentive) to convince themselves that their pet theories are right even when a rough glance at the evidence suggests that they are wrong. They know enough detail to convince themselves of things that you or I could not. When I worked for ABC radio I would from time to time interview fund managers about the likely course of the share market and particular stocks. I had a couple of favourite interviewees. They were the entertaining ones. But I assumed that they would at least have a better idea about the future of the market than would a person off the street. They were after all employed for that expertise. And yet year after year, in aggregate Australian fund managers have performed worse for their clients than they would have had they just left the money in the top 100 stocks and done nothing. Without putting too fine a point on it we would have been better off if we had we paid the experts not to manage our funds but to twiddle their thumbs. The last financial year was actually a particularly good one for Australian fund managers. Super Ratings reports that superannuation funds on average made 14.5 per cent. But the share market itself climbed by 19 per cent. One of the techniques is to simply not look at the evidence. Foreign exchange dealing rooms, funds management houses, hospitals collect masses of data that should enable us to work out just how good each surgeon and each screen jockey really is. But most of it lies unread. Teachers resist attempts to measure their performance. Another technique is to draw the wrong conclusion when confronted with evidence that we have got something wrong. Each time we are so confronted we make a mental note of the cause of the mistake, so that we don’t make it again. Often repeatedly. We think that this means we are learning from our mistakes. The more likely conclusion, that we are not very good at the task in hand, rarely occurs to us. My own view is that we need delusional optimism in order to survive childhood. And when we become adults we often join corporations (or public service departments) in which delusional optimism is encouraged. In most jobs it counts against you to admit that you don’t know, or are not sure, or that you have doubts. Whoever has the least doubt gets promoted, becomes manager and gets their optimistic proposals accepted, often with disastrous results. Kahneman says three quarters of corporate mergers and acquisitions “never pay off”. Yet grander and grander ideas get proposed each year. But I’m not making predictions about 2007. I don’t have the expertise. The Whitlam government may not have seen eye to eye with the Department of the Treasury, but it never tried to destroy it. Malcolm Fraser embarked on such a course within in a year of succeeding Whitlam. Dated 18 November 1976 it is headed “Administrative Arrangements: Department of Treasury”. It outlines a decision taken by Cabinet’s economic committee “without submission” (that it, without the bureaucracy having a chance to comment on it) to split the Treasury in two. A new Department of Finance would take over the Treasury’s responsibility for the management of government finances - Treasury’s original reason for being, and the function that gave it its name. The Treasury itself would be left with “broad policy analysis and advice”. 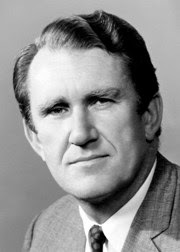 Unusually among Australian Prime Ministers, Malcolm Fraser had studied economics. He wasn’t overawed by Treasury’s apparent mastery of its discipline and was furious at what he saw as its practice of only presenting the Cabinet with one option when offering advice. He said to start with even the Governor of the Reserve Bank Harry Knight would recite the Treasury line when he appeared before the economic committee of Cabinet. Tension between the government and the Treasury came to a head over the Prime Minister’s determination to devalue the dollar, a decision that was eventually taken on November 28. Both the Treasury and the Reserve Bank supported a devaluation but the Treasury wanted it to be small, expressing concern about inflation. The Prime Minister felt it had to be big. “I had seen a number of countries in Europe and elsewhere devalue and devalue and then devalue again. It was almost like one devaluation began speculation on the next. I believed that you should have a devaluation that is so large that everyone would know that, providing other elements of policy remained firm, the next movement of the currency would be up” he said. Bypassing the Treasury Malcolm Fraser and his Treasurer Philip Lynch put their view to the Governor of the Reserve Bank, Harry Knight. History proved the Prime Minister right. The next movement in the exchange rate was up and inflation continued to fall. Malcolm Fraser rejects the view that his decision to split the Treasury was an attempt to settle scores. “Punishment had absolutely nothing to do with it. It was an attempt to institutionalise and emphasise that governments are entitled to alternative sources of advice. And that could never come out of the Treasury as it was,” he said. The former Prime Minister notes that no succeeding government has even contemplated reuniting Finance and the Treasury.